It's not easy staying green. That's what I learned when I made this glorious recipe using the uncommonly beautiful and tasty green chickpea. I'd fully expected to prepare this with the fresh-from-the-pod variety, a gobsmacked, serendipitous discovery at my local supermarket, of all places. A big sack of pods, however, only yielded a cupful of beanie babies. I was forced to eat the lot of them out of one scoop of my curled fingers. then dusted with a ground spice of your choice and a pinch of salt. Plan B fared far better, but the dried beans must have been as old as the Grand Canyon. They took three hours of simmering after an eight-hour soak to become tender. Though my patience paid off, I was rather perplexed that they'd turned from a jaunty verdant hue to one best described as maroon. The longer they cooked, the darker they became. But I am not complaining. It really doesn't matter what color they are. This dish is a knockout. It tastes like I struck gold. white chickpea, even after it is cooked. Green Chickpeas with Spinach (Palak Hara Chana) from 660 Curries by Raghavan Iyer. Given my changes to this recipe are quite insignificant (oil reduced to 1 tablespoon; water reduced to 1 1/2 cups; chickpeas cooked the day before), I will not venture an "adapted" rewrite. You can find the full recipe here, miraculously as it is presented in the actual cookbook, PDF'd by Google Preview. This is my own contribution to MLLA 23, hosted here by me. Please stay tuned for the round-up, likely at end of the week, when I will announce the winners of May's two random drawings while I show off all your fabulous recipes. I've received at least another dozen just today. Please bear with me while I sort through them. I expect to visit and comment on each on Tuesday, June 1. Thanks so much for spoiling me with your participation! I hope you've all enjoyed your weekend! Diana of A Little Bit of Spain in Iowa will be announcing MLLA 24 shortly. 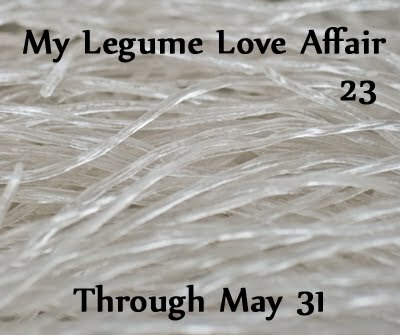 Please stop by to feed her with your legume posts during the month of June. 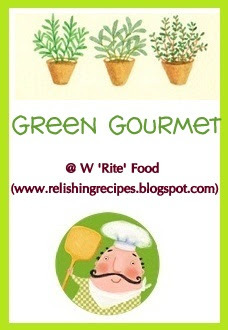 This recipe is also for Preeti of Write Food, inaugurating her Green Gourmet Event. 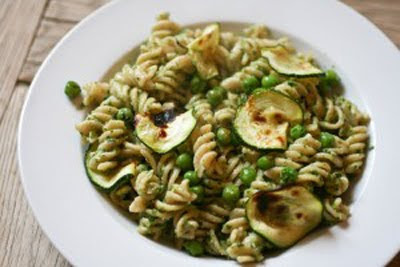 You have until June 9 to send her your gorgeous and healthy green recipes. Carb-uretors, that's what we are, these efficient biological machines that take in fuel to keep us running, keep us humming, really. Carbohydrates are the only food energy that feeds the brain to ensure our thoughts are clear, and tames that brain, too, to keep us calm and happy. And do you know what has also kept us running and humming every week, every Friday for the last, now 164, weeks? 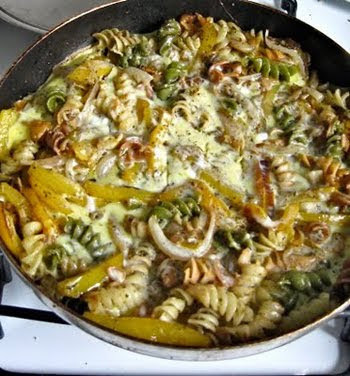 It's Presto Pasta Nights, created by Ruth of Once Upon a Feast. I know that I speak for all of us in thanking her for her genius of the obvious: we all love our carb fixes, and love her, too, for indulging us. 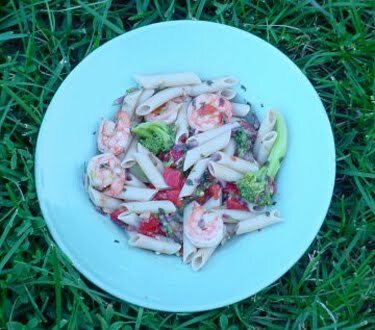 Here is but a twenty-four-recipe sampling of the gazillions of fabulous recipes that Presto Pasta Nights has brought to all our tables for over three years. My energy and time have been in particularly short supply lately. If I have erred or omitted anything or anyone, please let me know, and I will amend the post immediately. Thanks so much for joining in. And thanks to Ruth for allowing me the fun privilege of hosting another round of PPN. If you are interested in guest hosting, give Ruth a shout. I'm sure she has a spot somewhere down the road that will be convenient to your schedule. ideas. Let multiple mushrooms show you the way. 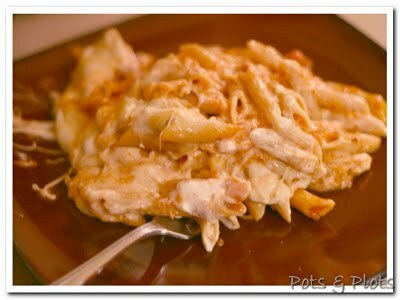 compensates for lost taste with a melt-all-over dairy dish. this world as the price of Gulf shrimp will be in the near future. for a quick frittata that tastes like the first time around. 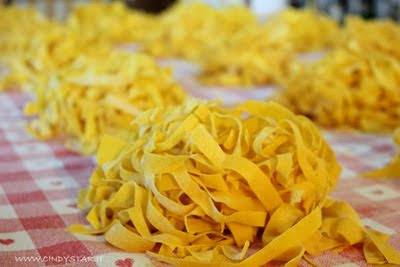 Italian roots for a fettuccine far from the Mediterranean Sea. 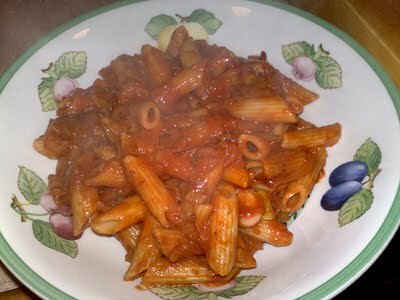 light and easy meal that's always good to go. the kitchen of her equally loving second-mom of an aunt. when teamed with bracing herbs and briny feta. classic dumplings dished out with woodsy overtones. 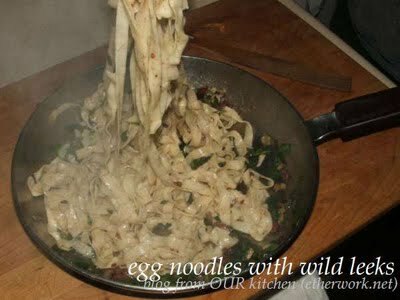 is the ideal dinner for cooks on the quick. pan full of equally fresh ribbons of delicacy and taste. belly of a soup pot bursting with exotic spices and tiny pastas. if one is being comforted with kugel instead of apples. fast when studded with the first flush of spring vegetables. 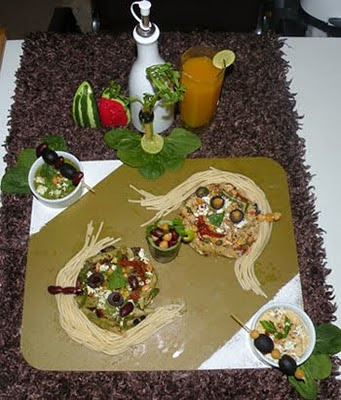 cooking, you will have multiple meals bound to make you smile. with a peppery sauce tempered with calming greens and dairy. South-of-the-Border flavors deserves to be savored slowly. really makes this rock is a clever bit of rolling. ingredient for extra-special flavors and color. 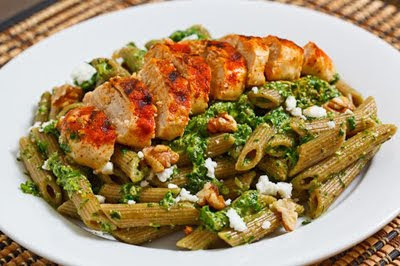 perfect pesto? Your journey may well stop here. exploring new taste sensations at the touch of your keyboard. 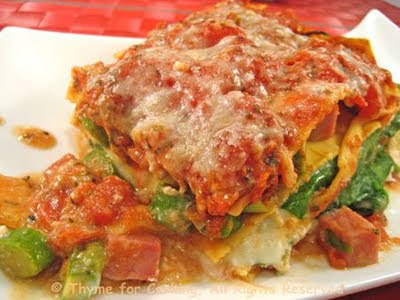 of this drop-dead lasagna, drenched in richness and light. 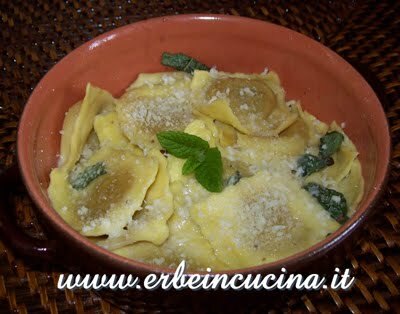 brings the sun directly to the table when preparing fresh pasta. buzz on when they're scattered like buckshot on a bowl of noodles. Next week, Rachel of The Crispy Cook hosts PPN #165. Starting now, you can send your recipe posts to Rachel at oldsaratogabooks AT gmail DOT com. Please see Ruth's guidelines here on how to participate. Thanks again, everyone, for your wonderful recipes! Have a great weekend! Nothing says comfort like buttered noodles. 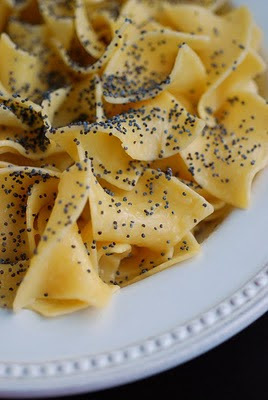 That this twisted and wide egg pasta is slightly sweet with the subtly aromatic, nutty crunch of poppy seeds makes it all the more delectable and satisfying. You may well have enjoyed a similar recipe of the savory sort. As much as poppy seeds are enjoyed in many world cuisines, I think of them as most epitomizing Eastern European cookery, the stick-to-your-ribs, hearty fare that helps denizens of cold weather weather the cold, and feel loved and coddled. And can't everyone do with a little love and coddling no matter what it's doing outside? 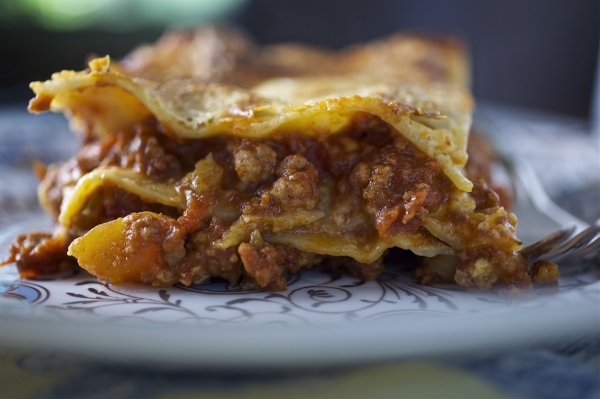 Mákos Tészta - Slightly adapted and modernized from a passed-down-through-the-generations recipes from many different European countries. One of the recipes can be found on Chew.hu. Boil noodles until tender according to package directions. In meantime, melt butter and powdered sugar together. 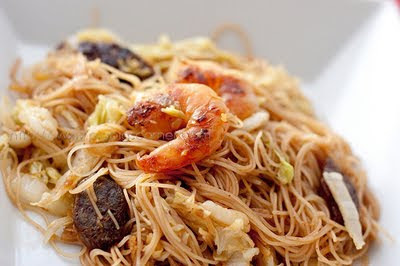 (Usually, the sugar dusts the noodles along with the ground poppy seeds.) Pour into large bowl. Stir in vanilla extract. Drain noodles, then add to butter mixture. Toss to coat well. Divide into bowls. Sprinkle tops evenly with poppy seeds. This is my recipe for Presto Pasta Nights, the long-running and very popular Friday night event, created by Ruth of Once Upon a Feast. The round-up will be online presently, literally within minutes of this post. I have the honors of hosting this week. Legend has it that back in the days of pre-Columbian Mexico, the meat bobbing in a broth of giant lime-slaked kernels of pozole (better known here as hominy) was of, let's just say, a rather intimately known species on the planet. I am neither an anthropologist nor archeologist, but after researching some pozole recipes, the general consensus is that this amazingly flavored soupy stew has more recently been traditionally prepared with pork. Well, a ham hock doesn't have any better appeal to me than leg of Uncle Waldo. In fact, the last time I prepared a pork meal was probably just about the time of the Spanish conquest of Mesoamerica. I did not, however, want to be cheated out of what all the raving pozole fuss was about that I'd been reading over the last few years. I can now enthusiastically gush with the rest of you. This recipe is the very sloppy, gut-bursting result of too much tinkering over the past two days. A meat-free diet does not necessarily mean you won't have a big mess to clean up in the kitchen (I had so much vegetable debris that I could have sold it by the bale for compost), but it does mean that with some relatively easy engineering, you can eat well without missing out on good flavor and health. And I'm not pulling anyone's leg. Tomatillos, the sour, pulpy fruit, generally essential to green-based pozole. Pepitas (roasted, salted pumpkin seeds). 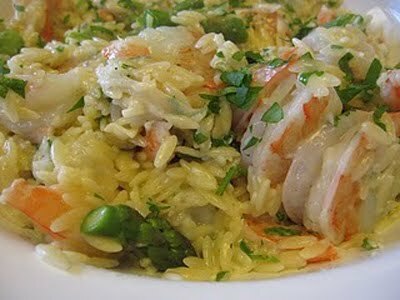 are commonly used in Latin and American recipes. In a very large saucepan over medium-low heat, cook tomatillos in broth until they are soft (about 15 minutes). Remove from heat and allow to cool slightly before transferring to a blender container. Carefully secure cover to prevent spattering, and blend to liquefy tomatillos. Return contents to saucepan, then stir in ground pepitas. Reserve on back burner on the very lowest heat, just enough to keep it warm. In a dry, medium skillet, toast ground cumin briefly on medium-low heat until fragrant (about 20 seconds). Pour in olive oil, then stir in Mexican oregano, epazote, onion, and garlic. Maintain heat, cooking vegetables until golden, translucent, and fragrant (about 12 minutes). Stir in serrano chile coins. Cook another 5 minutes. Remove from heat and add vegetable mixture to tomatillo stock. Increase saucepan heat to medium-low and simmer stock for 15 minutes. Stir in beans and pozole. Heat through (about 5 minutes). Divide soup into 4-6 bowls (depending on size), then layer and pile garnishes over top of each. Serve immediately with lime wedges on the side. This warm-as-sunshine recipe is going to lovely Lisa, hosting May's Mexican-inspired No Croutons Required, the popular and long-running vegetarian event co-founded by Lisa of Lisa's Kitchen and Jacqueline of Tinned Tomatoes, featuring salad and soups attuned to different monthly themes. Lisa will have the round-up online in a few days, including an opportunity to vote for your favorite recipe. Announcing - Presto Pasta Nights # 164 - Hosted Here This Week! Man (or woman) may not live by bread alone, but we sure can get by very nicely when flour and water are mixed into a paste, then fashioned into hundreds of different shapes to incorporate into several thousand different recipes. 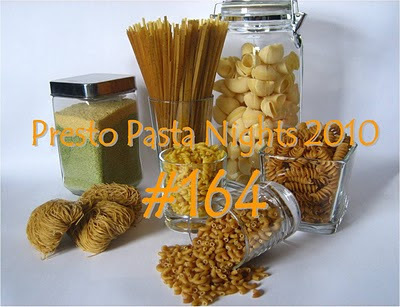 For the moment, though, I'd like you to focus on just one recipe featuring any pasta, and send it my way for Presto Pasta Nights #164, hosted by me for Ruth of Once Upon a Feast. Many thanks to Ruth, the creator of this popular, long-running event, for allowing me the fun privilege of hosting again. 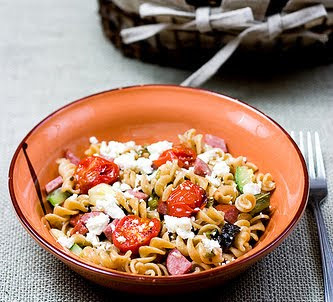 * Prepare a pasta recipe of any kind, representing any course or culture, and post it to your blog between now and Thursday, May 20*, linking to this announcement and Presto Pasta Nights. I will post the round-up early evening NY time on Friday, May 21. * Latecomers are welcome as long as I receive your details before the round-up is online. Thanks in advance for what I anticipate will be another lovely collection of recipes that I will be proud to present. (Special Note: I will be out of commission until mid next week, recovering from dental surgery which was performed earlier today. Please know that I will acknowledge your submissions as quickly as possible, and that my PC has not misbehaved to your disadvantage. Indeed, my PC is in much better shape than I am at the moment. ; }) Until soon. As I officially return from Easter break, which lingered unexpected and unofficially through most of April, I am getting back up to speed with a speedy recipe to restore some sensible eating after weeks-long, post-holiday gorging from pastel baskets brimming with animal-shaped sugars. Some might jeer that you can't get any more balanced than with the blandness of tofu. To those naysayers I would counter that while a block of tofu presented in its birthday suit is not the most inspiring of ingredients, it does have that unique chameleon quality that cheerfully embraces its far-more-flavorful neighbors in a recipe. You can't expect much from it if you pair it with a few steamed green beans, but it will glow in the dark of your belly if you light it on fire with the unrepentant spicy condiments common to the Korean cook. 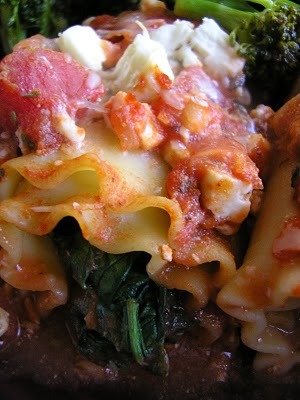 If you are hot for heat, and an advocate of Meatless Monday, then I have a dish for you. In a large, preferably non-stick skillet, warm vegetable oil briefly over low heat until it thins (less than 1 minute). 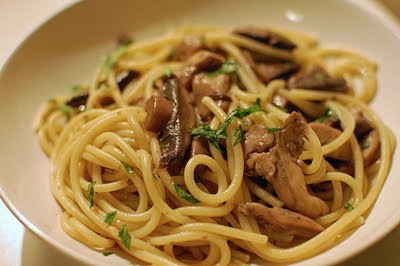 Add mushrooms, stirring to coat with oil. Raise heat to medium-low. Cook mushrooms until nearly all water has been extracted and evaporated from them (about 10 minutes), stirring occasionally to prevent browning. The mushrooms will be substantially shrunken, but tender and limp. Stir in sesame oil, garlic, green onions, and chile pepper. Sauté briefly while occasionally stirring until garlic is golden (about 2 minutes). Stir in kimchi. Maintain temperature to heat through. Remove from heat, keeping warm by covering skillet. * Kimchi, a typically spicy, brine-fermented staple of the Korean diet can be made with nearly any vegetable. Napa cabbage is the most commonly used featured ingredient. N.B. - Most kimchi is prepared with anchovy or other fish sauces or pastes. If you are a vegan or vegetarian, look carefully at ingredient panels before selecting, or make it yourself at home to your own specifications. This recipe is for Sowjanya of RuchikaCooks, closing out hosting of My Legume Love Affair 22. Sowjanya will be accepting late recipes until she posts her round-up end of this week. Please stop by her lovely blog to ooh, aah, and bookmark what will be the usual fine collection of delicious fare from around the world. I will be posting the announcement for MLLA 23 later tonight, which will be hosted right here by me at The Well-Seasoned Cook.